The second edition of ‘Paryatan Parv’, a nation-wide celebration of Tourism, is being organised by the Tourism Ministry, Government of India, in collaboration with other Central Ministries, State Governments and Stakeholders from the 16 September to 27 September 2018. 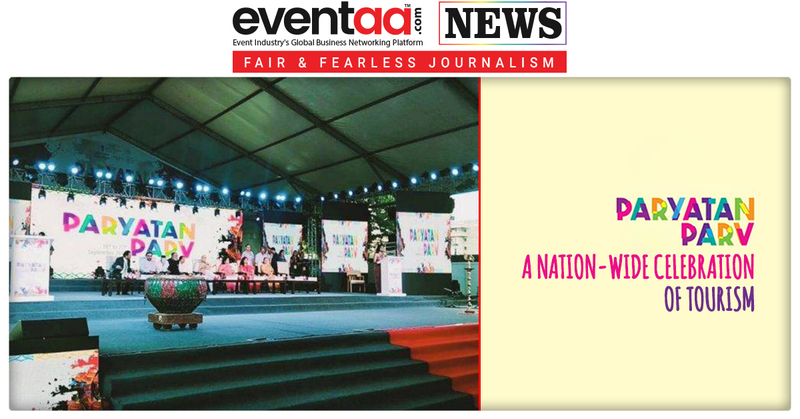 Last week, Union Home Minister Rajnath Singh inaugurated the Paryatan Parv 2018 at Rajpath Lawns, New Delhi in the presence of the Minister of State (IC) for Tourism, K.J. Alphons, announced Rashmi Verma, Union Tourism Secretary. During the Paryatan Parv, the Union Minister for Railways Piyush Goyal inaugurated the first ever India Tourism Mart (ITM) on 17 September 2018 at Ashok Hotel, New Delhi. The Tourism Ministry organised the ITM on 16-18 September 2018 in partnership with the Federation of Associations in Indian Tourism and Hospitality (FAITH) and with the support of State and Union Territory Governments. Rashmi Verma said that ITM will be an annual event hereafter in line with other International Tourism Marts and the Ministry will be releasing a calendar of ITM schedule for next 5 years so to ensure wider participation. Rashmi Verma also said that the previous events like Paryatan Parv have helped in the healthy growth of Tourism sector which was visible in the 18% growth of Domestic Tourist Visits in 2017. 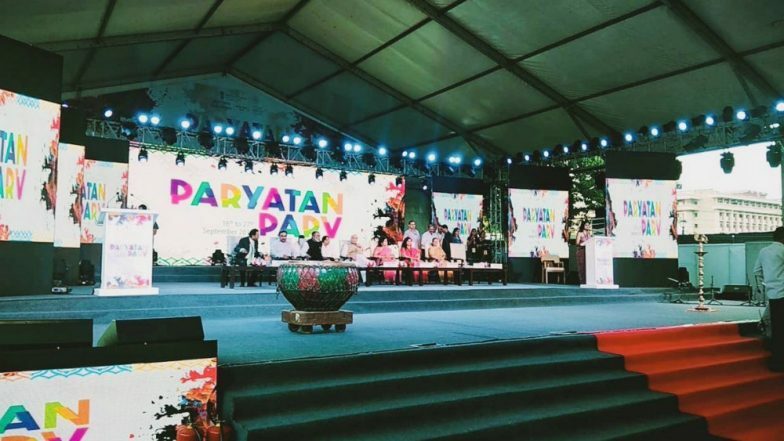 More than 3100 events are being organized in collaboration with other Central Ministries and States during this year’s Paryatan Parv ranging from Yoga demonstrations, Cultural evenings, Photography competitions, Food/Cuisine stalls etc. Dekho Apna Desh: To encourage Indians to visit their own country, there are several activities to be organised across the Country like Photography contest covering tourism attractions and experiences, promotion on Social Media, Tourism related Quiz, Essay, Debate and Painting Competitions for Students. General public engagement for the event will be promoted through the MyGov platform. 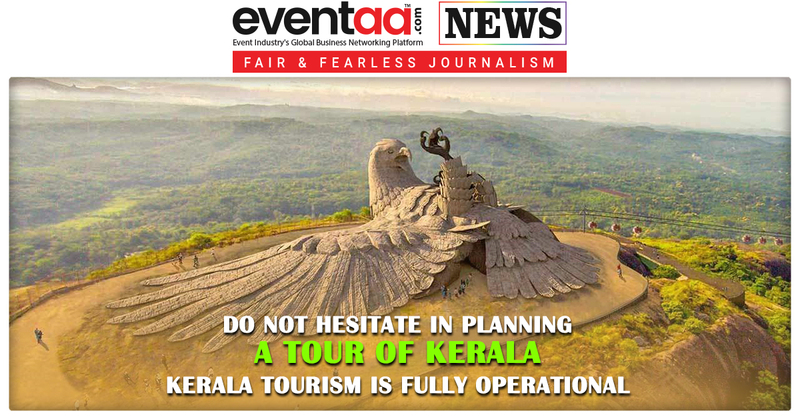 Tourism for All: Tourism Events at sites across all States in the country are being organised. The activities at these sites will include illumination in and around the Sites, Cultural Programmes of Dance, Music, Theatre, Story Telling, Sensitisation Programmes for Stakeholders around the Sites, Tourism Exhibitions, Showcasing Culture, Cuisine and Handicrafts / Handlooms, Guided Heritage Walks, etc. Other Participating Central Ministries / Departments and agencies includes - Ministry of Ayush, Ministry of Information & Broadcasting, Ministry of Railways, Ministry of Skill Development & Entrepreneurship, Ministry of Youth Affairs & Sports (Nehru YuvaKendras), Ministry of Consumer Affairs, Ministry of Textiles (DC – Handicrafts, DC – Handlooms), Ministry of Tribal Affairs (TRIFED), Department of Higher Education Department of School Education & Literacy, ITDC – AIHTM, IHM – PUSA, DIHM, NASVI (National Association of Street Vendors of India) and Mother Dairy. Over 3150 activities and events during the 12-day event includes, Awareness & Sensitization Programmes, Workshops & Seminars, Cleanliness Drives, Competitions, Cultural Programmes, Tourism & Handicraft Exhibitions, Food Festivals, Yoga Demos, Tourism Runs & Rallies, Heritage Walks, Adventure Activities, Tree Plantation Drives, Illumination of Monuments & Railway Stations, Focus on Role of Youth in Tourism, Vocational & Skill Training Programmes, Excursion Tours for Students, Nukkad-Natak on Tourism & Cleanliness Themes, Promotion of Environment Friendly Measures, etc. 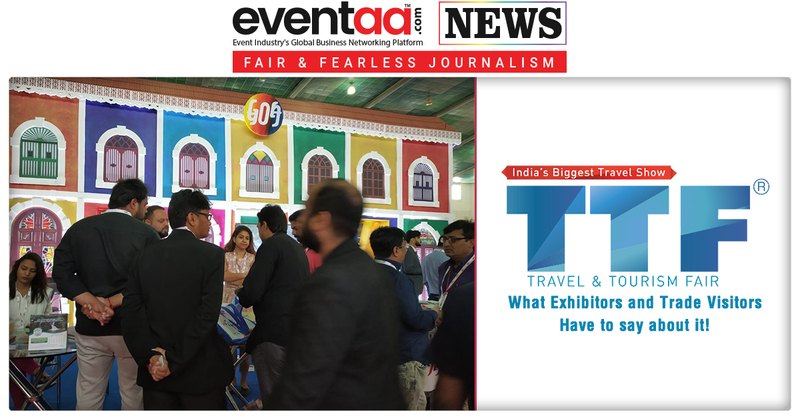 Also, the mega event will see active participation by Cultural Associations and Organisations, Travel & Hospitality Industry, Institutes of Hotel Management, Indian Institutes of Tourism & Travel Management, Service Providers, Students and Youth and the Local Population. Check out Paryatan Parv – 16-27 September 2018, All India Events Calendar, click here.